The human mind houses different types of memory pieces, in different areas of the brain. In a matter of moments, the brain needs to retrieve seemingly trivial details like dates and phone numbers out of its storage areas for immediate use. This operation doesn’t always go as smoothly as planned. It might be looking for our car keys or our sunglasses that causes our brain to feel sabotaged. It might be other matters like forgetting a birthday or wedding anniversary at the wrong moment. This isn’t something that we are forced to live with, as there are ways to improve your memory and boost the capabilities of your memory. Whether you are a fresh young student in college, cramming for those final exams, or another person fretting over a missed dentist appointment that you totally blew off, there are things that each of us can do to improve memory and have better recall with our memory information. Do you remember when you were a young child and you were told that tying a piece of string around your index finger will help you to remember something. It might seem an odd thing to do, but it actually helps improve memory and works, in a sense. Anytime you can change a bit of your surroundings just enough to notice, this can help trigger that something needs to be recalled. It is all based upon creating a visualization that is associated with the string on your finger, for instance, or something else in your environment that you purposely misplaced and can tie a visual memory toward. Remember that it isn’t using a string that is important for this technique to work. It can be anything that you choose to represent a trigger visualization linked to a memory that you need to recall at a later time. This can be as simple as wearing a piece of jewelry in a different place than usual, like a ring or a bracelet. Or anything at all that is part of your regular environment that you will immediately recognize when it is out of place and helps improve memory through visualization. As an example, let’s say that you have been tasked by your spouse to buy some milk on the way home from work, so you place a stuffed animal of a cow on your dashboard, right in front of the steering wheel, so that after work you can see this stuffed cow sitting there staring back and you, and you will recall that you need to run by the store for milk before heading home. An extreme example, to be sure, but you get the idea. Another way to use both association and visualization to improve your memory is to transform words into picture images, so that you can recall the words easier. For instance, you want to remember that dentist appoint tomorrow afternoon at two. Spend a few minutes contemplating an image that you can associate with the number two. “Tea for Two” or “Bicycle Built for Two” might conjure images of that number, which you can then associate through imaging two people drinking tea on a tandem bike, racing through the waiting room of your dentist’s office. 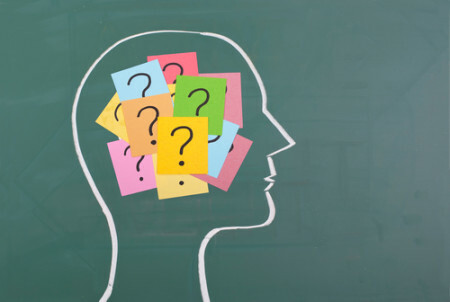 You’ll have an easier time remembering things the crazier or more one-of-a-kind using mental association can be a practical way to improve memory. These are just a couple of examples related to the ways that you can use visualization and association to improve memory capability. By using these techniques every day, like anything else you practice with, you will get better and improve memory and in no time you will be able to remember things that seemed only yesterday like you’d always forget.